Kick Off: 12:15 PM Boyd 32(pen)	 Ferguson 87, Anderson 72. Steve Clarke's Kilmarnock side have once again kicked on from their excellent form at the tail end of last season and lie in 3rd place, one point behind champions Celtic and six points ahead of Aberdeen. Killie earned a 1-1 draw at Ibrox on Wednesday night courtesy of Greg Stewart's equaliser, but attacker misses out against his former club on Sunday due to suspension. "We spoke before the Semi-Final about the importance of what getting to a cup final can bring to a club with momentum, the feel-good factor and the confidence of beating a team like Rangers. The game itself last night could have been trickier than it was. I thought the players were terrific and we scored some high-quality goals and got another clean sheet. It wasn?t perfect, and there were one or two moments we could have done better defensively by looking after the ball better, but to get three goals, another clean sheet its a step in the right direction and an important three points for us. "I don't think you're really surprised when the result came through last night. I think Kilmarnock are notorious for making life difficult for teams and they've managed to get good results over a period of the last year or so and have been very consistent since Steve went in. There's a familiarity in how they want to play, and they've done extremely well. For us we look at the opposition of course, but we're looking more so at ourselves to try and keep finding good performances that will give us a chance to win. Hopefully we can have that on Sunday." "We know it will be a difficult game when we play Kilmarnock away, but I think after our last two results we need to go into the game full of confidence. It was a big result Sunday and then to go out and score three goals last night is good for us and we're in a good place just now and looking forward to the game. "We need to take it one step at a time. The cup final will be in the back of everybody's mind and it needs to be because you want to be playing well to stay in the manager's thoughts for that game. In terms of the league you just want to focus on the next game and we'll get Kilmarnock out the way. Hopefully we'll get three points and it will just be onto Hibs and then we get a wee break. At the moment all the focus is on Kilmarnock." 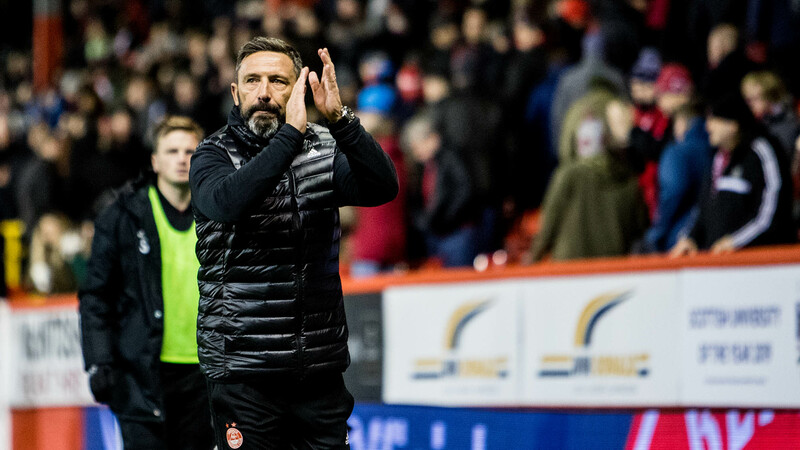 It's been seven years since The Dons lost a league match at Rugby Park and Derek McInnes has won all nine of his visits as Dons manager. Until this season he had only dropped points once home and away against Kilmarnock, but that near-perfect record was finally ended when Eamon Brophy and Greg Stewart combined to give Killie the points at Pittodrie. The Scottish Cup Quarter-Final replay between the sides offered the winner a place at Hampden. On a tense and freezing night The Dons did it the hard way via the penalty shootout. 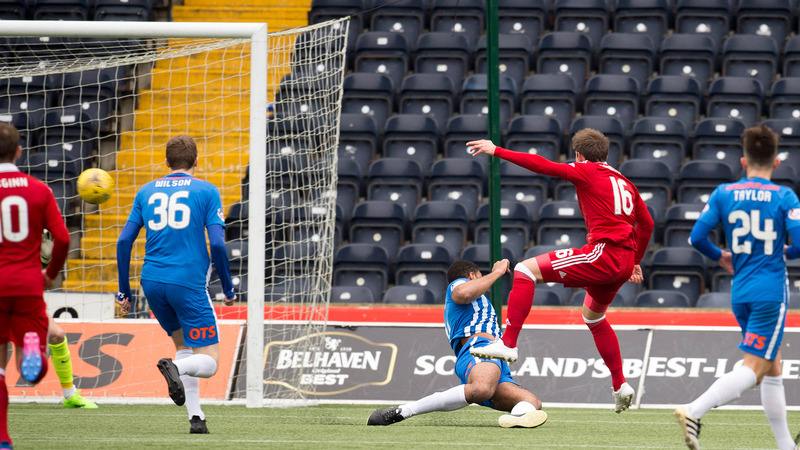 After Killie took the lead in extra time through Stephen O'Donnell it looked as though Killie would get the job done, but Kenny McLean slammed home a penalty shortly afterwards to send the game all the way to penalises. 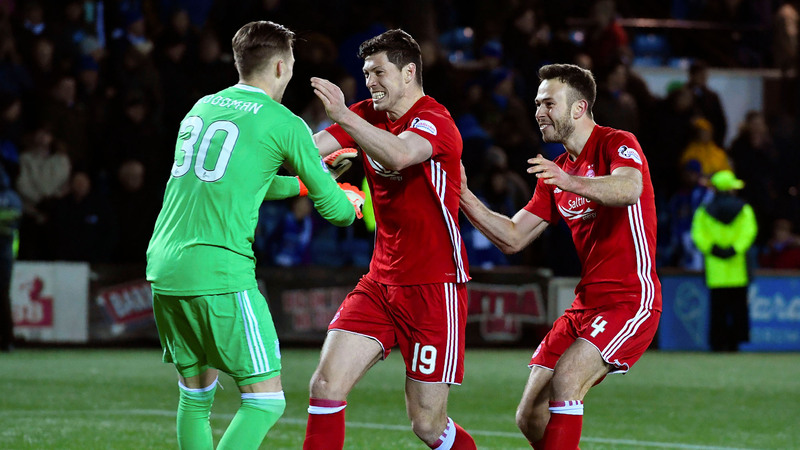 Former Kilmarnock 'keeper Freddie Woodman had only joined The Dons a month before and his three saves proved decisive as Aberdeen went through. As the season reached an exciting climax, The Dons were looking to finish as runners-up for the fourth consecutive season. To do that they faced arguably the most difficult post-split in years with Rangers, Hibs and Kilmarnock in the hunt for the European places. After the disappointment of their Hampden Semi-Final the week before, The Dons went into it needing a win to stay ahead of the chasing pack. A thoroughly professional performance from Derek McInnes's men eased the pain somewhat from the week before and Kenny McLean and Shay Logan scored the all important goals that would contribute to another second once again through an excellent run in the post-split. Killie hold the slightly favourable record when facing Aberdeen on their own patch with 50 wins in the league compared to The Dons' 43 and 14 draws. The largest margin of victory for Sunday?s visitors stands at four, which has been achieved three times, including twice under Derek McInnes. Back to back visits to Rugby Park in 2015 and 2016 led to 4-0 wins as The Dons continued to prove a tough opponent. If you can't join us at Rugby Park on Sunday lunchtime, make sure to tune into RedTV with live audio for UK and video for International Subscribers. Post match we will have goals, highlights, reaction and a full match replay. Kilmarnock Teamsheet: 01.MacDonald, 02.O'Donnell, 05.Broadfoot, 17.Findlay, 03.Taylor, 08.Dicker, 06.Power (10.Kiltie 88), 29.Burke, 27.Tshibola (04.Byrne 77), 11.Jones, 09.Boyd (12.Ndjoli 74). Unused Subs: 07.McKenzie, 16.S Boyd, 22.Millen, 26.Bachmann. Bookings: 03.Taylor (35), 05.Broadfoot (87). 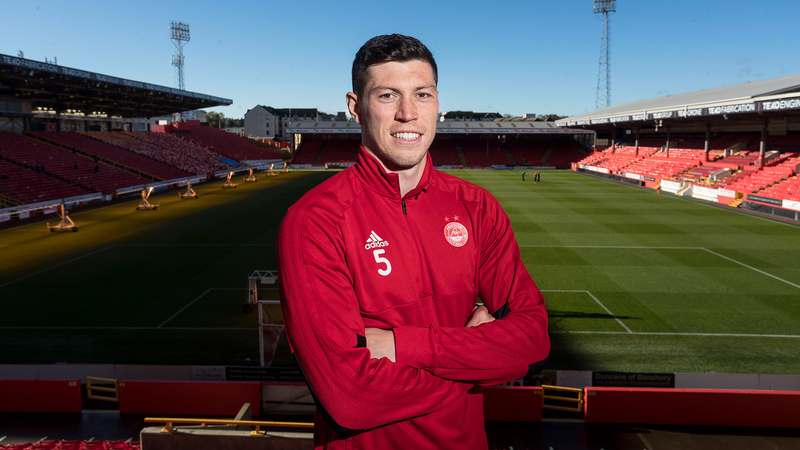 Aberdeen Teamsheet: Lewis, Logan, Shinnie, McKenna, Wilson (Anderson 67), McGinn (Wright 85), Mackay-Steven, Devlin, Ferguson, Ball (May 46), Lowe. Unused Subs: Considine, Cosgrove, Campbell, Cerny.